Caren Cooper, PhD, is an Associate Professor in Forestry and Environmental Resources at North Carolina State University in the Chancellor’s Faculty Excellence Program in Leadership in Public Science, jointly appointed as Assistant Head of the Biodiversity Research Lab at the North Carolina Museum of Natural Sciences. She teaches and mentors undergraduate and graduate students in becoming public scientists, that is, familiar with citizen science, public science communication, and open science practices. Cooper’s research focuses on bird behavior and reproduction, residential stewardship and conservation, and community pollution bio-monitoring and mapping. She has two current citizen science projects. Sparrow Swap has dual goals of helping volunteer nest monitors minimize damage by house sparrows while also exploring the potential of house sparrow eggs as a tool for the biomonitoring of contaminants. Sound Around Town, in partnership with the National Parks Service and Colorado State University, investigates ecology and human well-being associated with soundscapes in residential and urban areas. Cooper also carries out scholarly studies of citizen science, recreationists, and the dynamics of coupled human-natural systems. She is author of Citizen Science: How Ordinary People Are Changing the Face of Discovery (The Overlook Press, Dec 2016). Cooper is a blogger with SciStarter, syndicated to Discover Magazine (Citizen Science Salon) and the PLOS Blogging Network (Citizen Sci), and guest blogger at Scientific American. Cooper is founder and moderator of #CitSciChat, a Twitter discussion about citizen science, @IamCitSci, an account with weekly rotating hosts, and Twitter natural history game #WhoLaidIt. She can be followed on Twitter @CoopSciScoop. Cooper was an advisor for the Crowd & the Cloud, a public television mini-series about citizen science that aired in April 2017. For 14 years (2001-2015), Cooper helped design citizen science projects at the Cornell Lab of Ornithology including My Yard Counts, YardMap, NestWatch, Celebrate Urban Birds, and the House Sparrow Project. Cooper has over 50 publications, including research papers that relied on data from NestWatch, Project FeederWatch, Christmas Bird Count, Breeding Bird Survey, and My Yard Counts. Cooper also collaborates with social scientists to study birdwatchers and citizen scientists to understand land stewardship and conservation behaviors, as well as the societal implications of participatory research. 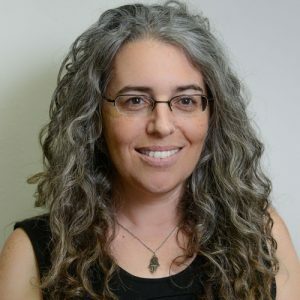 Cooper was involved in the formation of the Citizen Science Association, serves on the Board of the CSA (2017-2020), created and co-chaired the ethics working group (2015-2017), and led the committee to create a new journal, Citizen Science: Theory and Practice. She was co-editor-in-chief for the CSA’s journal (2014-2017) and associate editor (2018+). She is subject editor for the Journal of Avian Biology. She is co-chair of the CODATA-WDS Task Group on Citizen Science and the Validation, Curation, and Management of Crowdsourced Data. She is director of research partnerships with SciStarter.com, the largest searchable repository of citizen science projects. Cooper is a Senior Fellow in the Environmental Leadership Program with a focus on science communication. Cooper hold degrees from North Carolina State University (B.S., 1988), the University of Wyoming (M.S., 2003), and Virginia Tech (Ph.D., 2000).